Splattered spaghetti sauce, a drip of olive oil, a strawberry plopped in your lap. Stains happen quickly and can ruin your clothes even quicker. 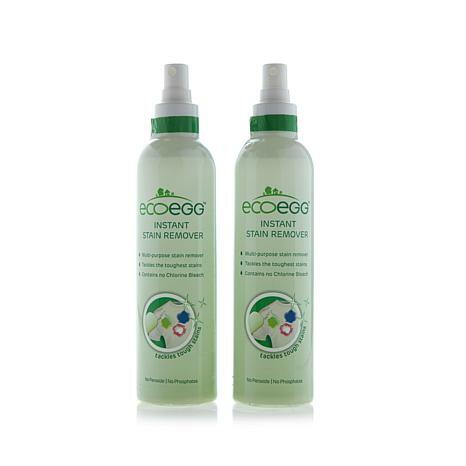 Ecoegg stain remover works on stains quickly whenever emergencies occur. It's also great as a laundry pre-treatment, on carpets and tablecloths. In addition to the laundry room, keep one handy at work for sudden food mishaps. I've been using Ecoegg stain remover for over a year. It removed a stain from my carpet, that a professional carpet cleaner said couldn't be removed. It also removed hair dye from my upholstered sofa and the carpet, which my granddaughter accidentally spilt. I never want to be without it. Over the years, I've brought lots of stain removers that looked good while they were demonstrated, but did NOT do the same for me. But... I went ahead and bought Ecoegg... and I'm glad I took the chance. I help bling costumes for a dance studio. 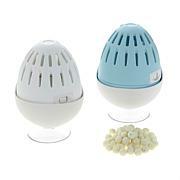 These get weird stains on occasion, and Ecoegg takes it off with no harm to the material. It has taken stains off of my couches when company drops "stuff" on them. So far it has worked on any stain that has presented itself. No complaints from me! I've had the product for months now and unfortunately I just don't produce a lot of stains. However, I have used it a couple of times and the stains instantly disappeared like they never existed. Will keep this product as long as they continue to make it! I used this on a stain on my carpet. Id tried everything and nothing worked. Its been there for 2 years! Ive covered it with a plant. I tried this today and theres but a hint of the stain left. I wish Id had this 2 years ago! 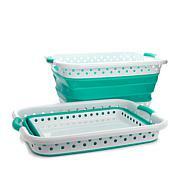 I ordered two sets and I plan to order more this is amazing Im a custodian and Im always looking for things that work. The first day I received this I took it to work and went around the building trying it out on different stains and I was amazed at how well it worked. It got out every stain on carpets cloth chairs and of course I told everyone about it so I know they are going to order some. Thanks for this great product.